This book isn't out until the new year, but if you like Rod Duncan's writing as much as I do, you'll pre-order it now. 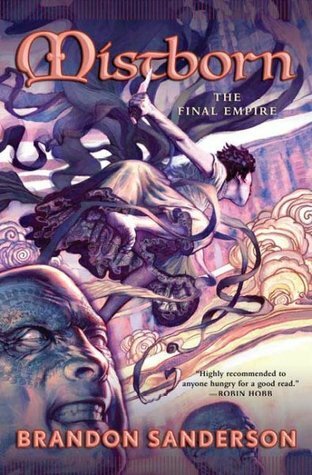 I had this as an ARC from Netgalley in exchange for an honest review. This is the second book of the second Elizabeth Barnabus Trilogy (the first trilogy being the Gas-Lit Empire), but you could be forgiven for thinking it isn't about her to begin with because Elizabeth doesn't appear until well into the story. 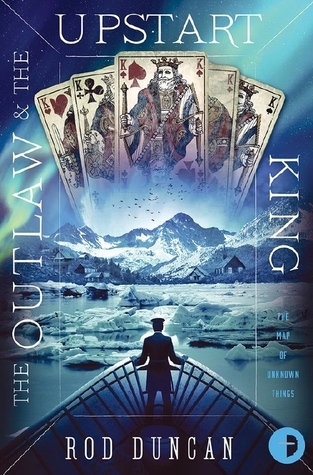 It's partly narrated by the outlaw, Elias No-Thumbs, a man in search of a certain kind of revenge, or maybe justice, and it's set in a dangerously feudal version of Newfoundland where people are bound by tattooed oaths. Warlords, known as Patron Protectors, rule, supported by thugs. The upstart Jago is one such, a man to be feared. It turns out that Elizabeth and her friends, Julia and Tinker, have been shipwrecked on the shores of Newfoundland and the problem is how to get off the island, since the only routes in and out are dictated by the patrons – but we don't discover that until Chapter 9, the second part of the book. Thereafter the viewpoint is shared between Elizabeth and Elias. This is really Elias' book. He's the one with the greatest journey to make in order to understand the lengths he'll go to for revenge on the ones that outlawed him and cut off his thumbs. Elizabeth gets embroiled in Elias's troubles in her search for a way off the island. There's obviously another book to come, and I'm looking forward to it. I've thoroughly enjoyed Rod Duncan's Barnabus books. Maybe this one slightly less than Queen of All Crows, but it's still well worth reading. This movie is not as good as it thinks it is. Visually it's sumptuous, but there's something lacking. The best childen's movies work for adults, too, but this simply didn't work for me. The blurb says: Clara needs a magical, one-of-a-kind key to unlock a box that contains a priceless gift. A golden thread leads her to the coveted key, but it soon disappears into a strange and mysterious parallel world. In that world, she meets a soldier named Phillip, a group of mice and the regents who preside over three realms. Clara and Phillip must now enter a fourth realm to retrieve the key and restore harmony to the unstable land. It's a relatively simple story with an unexpected twist, but sadly the only performance that comes close to being engrossing is Helen Mirren as Mother Ginger. When their husbands are killed in a heist-gone-wrong Veronica (and therefore the other widows) are pressed for $2m by a crime boss turned politician. Their only way out is to carry out the next heist that the late Harry Rawlings (Liam Neeson) had meticulously planned. This isn't simply a caper movie like Oceans 8. It's gritty and there's a twist. 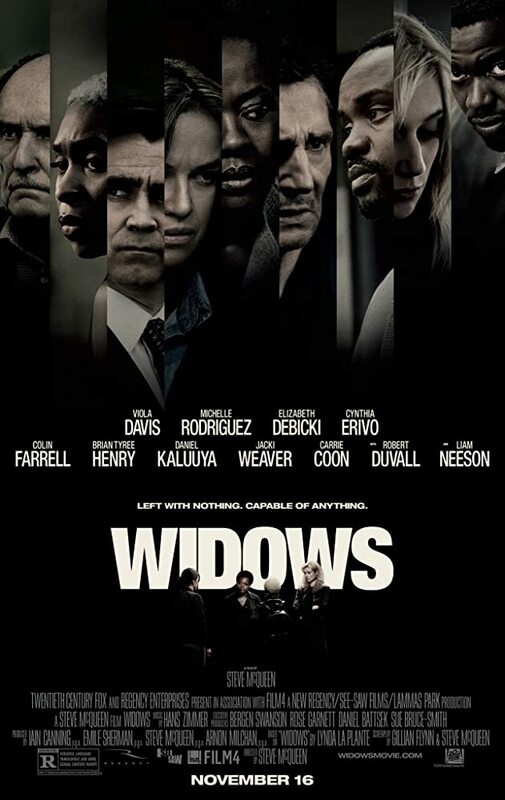 Harry's widow, Veronica, is played by the excellent Viola Davis, and she carries the whole thing, with Liam Neeson adding gravitas. Colin Farrell plays a politician who may be slightly less corrupt than his father, but is he really? It's hard to tell who the good guys are in this - if indeed, there are any - however you certainly know where your sympathies lie. It's an excellent movie, if gruelling.